The boys have two weeks worth of books to review for you, and two weeks worth of bombs from The Shadow to drop on an unsuspecting world! 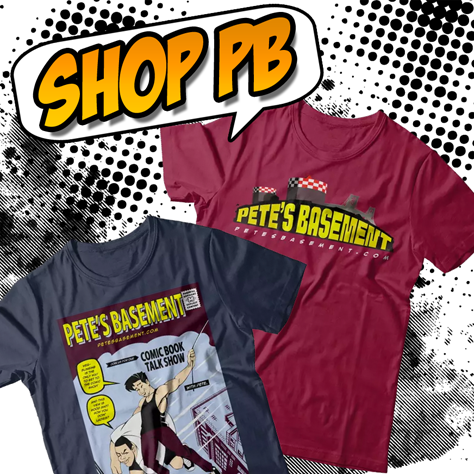 So strap in, cause it's a double-sized two-hour episode of Pete's Basement! DC Rebirth is the name of the game! Detective and Action Comics return to their original numbering. Wonder Woman's got alternating stories. Flash and Batman team-up! And just how powerful IS Dr.Manhattan anyway? All that, and the boys pick sides in Marvel's Civil War II! You don't wanna' miss a minute of this! What are you waiting for? Hit the play button!